Unique fauna and flora that you can’t find anywhere else in the world. Home of virgin forests, ancient rocky formations, beautiful beaches and people from more than 200 countries. Welcome to Australia! 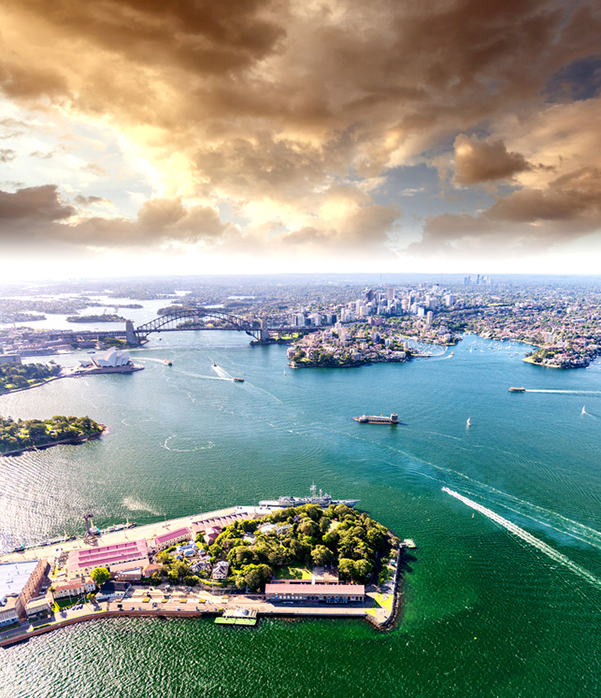 Australia has long been a popular destination for Irish tourists, as well as people planning to start a new life on the other side of the world. It is the dream destination of millions of travellers, students and young professionals. Whether you are going to Australia to explore the country or to work (or both), read on to find out about the most important facts and figures about this beautiful country. 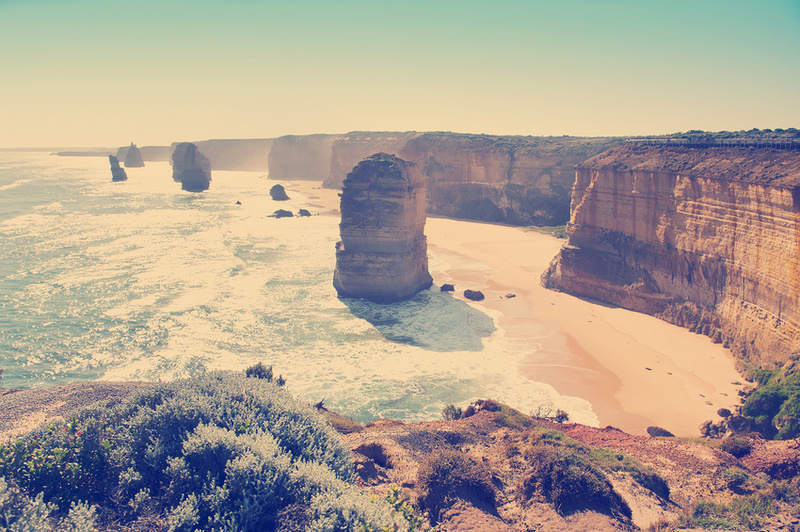 We’ve included nature, sights, and can’t miss places to visit in Australia! The country of Australia extends to the continent, the island of Tasmania and several adjacent islands. Before the British arrived, this land was inhabited by the original inhabitants of the Aboriginal for more than 50,000 years. Australia is the sixth largest country in the world, the only one which is also a continent. It consists of six states (Queensland, New South Wales, Victoria, South Australia, Western Australia, Tasmania) and two Territories (Northern Territory and Australian Capital Territory). The capital of Australia is Canberra, which is home to about 420,000 inhabitants. The largest cities are Sydney, founded in 1788 with 5.1 million inhabitants and Melbourne with 4.6 million inhabitants. The population of Australia is about 24 million, with a population density of just 3 people per square kilometre. Lots of wide open spaces to get lost in! Australia is a parliamentary constitutional monarchy headed by Elizabeth II and one of the largest English-speaking countries in the world. Despite gaining independence from the United Kingdom way back in 1901, it has remained part of the British Commonwealth. Australia has the 13th best economy in the world, with GDP per capita in 9th place. The continent of Australia was discovered by Dutch sailors in 1606, the eastern part was declared part of the United Kingdom in 1770. The main island of Australia is surrounded by three oceans and over 8,000 islands. Vegetation covers up to 91% of the continental surface. The original inhabitants of Australia are the Aboriginal peoples and Torres Strait islanders, known for their rich culture, folklore, myths and customs that stretch back over thousands of years. After colonization, many of them were pushed to the margins of society, although efforts are underway to repair some of the damage caused to the native peoples of Australia by the colonizers. Melbourne, the second largest city in Australia and the capital of Victoria, was once known as Batmania. This name was based on the founder of the city John Batman, rather than the caped crusader of Gotham City. 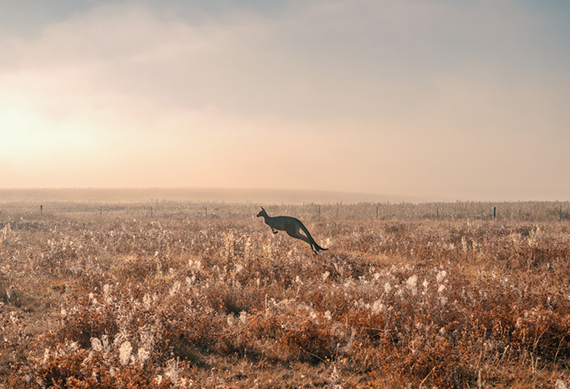 There are more kangaroos living in Australia than people, possibly up to twice as many. Australia also has the largest feral population of camels in the world, even though they are not indigenous to the country. In 1967, Australian prime minister Harold Holt went for a swim with his family at Cheviot Beach in Victoria. To this day he has never been seen, and was declared dead even though his body was never recovered. Australian Highway 1 is the largest national highway in the world. It measures 14,500 kilometres and encircles the entire Australian continent. 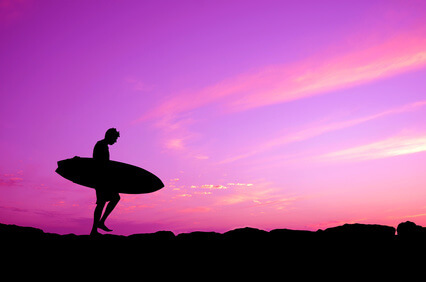 Australia boasts over 10,000 beaches. This means that every day for 27 years you can always visit a new beach. And after 27 years your memory of the first one will have faded a lot, so why not start over again! Only a licensed electrician can replace a light bulb in Victoria. Better safe than sorry! In 1892, just over 200 Australians arrived in Paraguay with the idea to establish a socialist New Australia in Paraguay made up of ‘English speaking whites’ and committed to teetotalism and preservation of the ‘colour line’. Described as being made up of ‘misfits, failures, and malcontents’ the colony lasted no more than a couple of years. Australia owns the largest part of Antarctica to have been claimed by any nation: 5.8 million square kilometres. In 2013 a feral pig with a taste for booze caused chaos in the small western town of Port Hedland. The hog helped himself to 18 beers from a shop and then got involved in a fight with a nearby cow. The pig was last seen sitting under a tree, presumably trying to sleep off a hangover. In 1975 Queen Elizabeth (in the form of the governor general) effectively fired the entire Australian parliament in order to break a deadlock between the members of the house. The Australians issued a one-tonne coin that weighs 1,000 consisting of 99,99% pure gold. It's estimated worth is around AUD$50 million. Australians are the largest meat consumers in the world getting through 200 pounds of meat per person every year. Perhaps coincidentally Australia is also one of the most obese countries in the world, with a quarter of children overweight or obese. 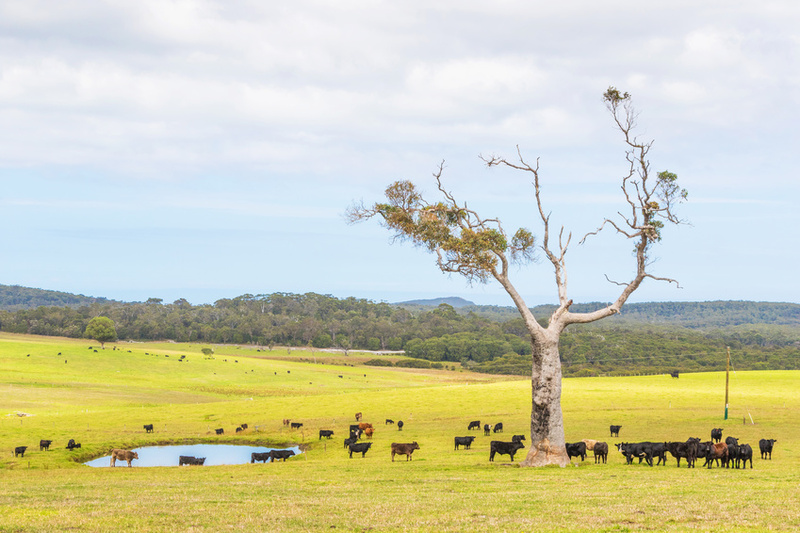 The largest livestock farm in Australia is larger in acreage than either Israel or Belgium. If the whole world consumed as much as the Australians, instead of one Earth, the entire world would need to 5.4 earths in order to survive. Australia's first police force was created from the best-behaved convicts. With manpower a serious issue, 12 criminals made up the first night watch to keep watch on the new colony. More than 80% of Australians live no further than 100 kilometres away from the coast. 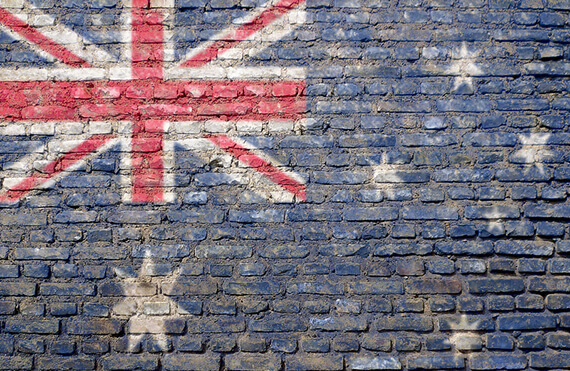 Australia has no official language, although English is the ‘de facto’ national language. In addition to English, over 200 different languages ​​and 45 indigenous dialects are spoken in Australia. The most common languages ​​include Italian, Greek, Cantonese, Arabic, Vietnamese and Mandarin. Australia was the second country in the world to allow women the right to vote in 1902, nine years after neighbours New Zealand. Australia produces 1.35 trillion bottles of wine every year. While many Australians drink moderately if at all, 1 in 5 drinks 75% of the entire amount of alcohol consumed in the country. Australia occupies a large area - about 7.6 million km², allowing for great differences in climate across a single continent. In Australia you will find rainforests, deserts, rocks and beaches; one of the most distinctive and varied natural environments in the world. 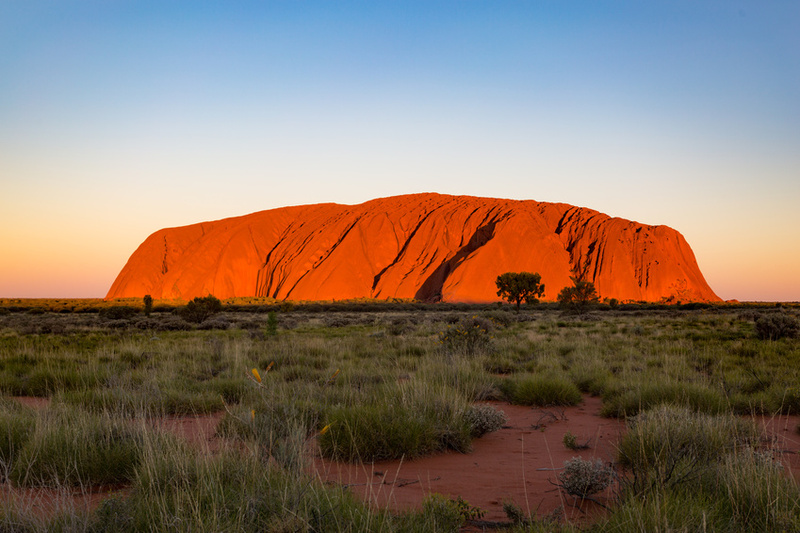 The most unique place in Australia is probably Uluru (Ayers Rock), located on the native Aboriginal territory of the Northern Territory. It is listed as a UNESCO heritage site and hides a vast array of natural springs, caves and ancient paintings. Most of the sandstone mass, which is the basis of Uluru, lies underground. The top is made of red sandstone from the oldest forests and is believed to be over 500 million years old. The ten most dangerous snakes in the world live in Australia. 35 people have died from snake-bites in Australia since 2000, with 23 of these having been as a result of bites from the Eastern Brown Snake. The number of cattle before the arrival of British colonists is estimated at 10 million, but currently there only around 43,000. 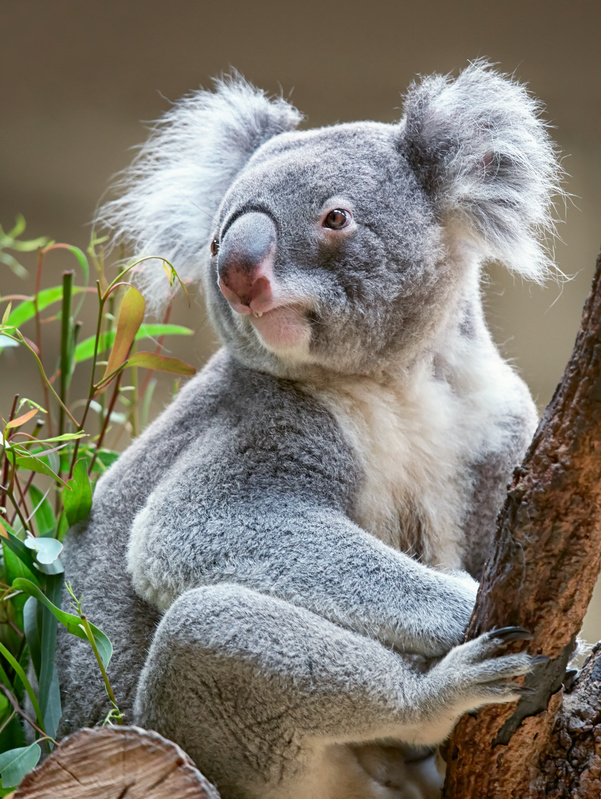 Australian koalas are at risk of extinction, because unfortunately half of them suffer from chlamydia. Australia now has so many camels that they export them to Saudi Arabia. Up to 75% of animal and plant species in Australia are largely unknown and have not yet been formally identified. The toxic plant Dendrocnide Moroides (also called ‘stinging brush’) grows in Australia, and has poisonous effects when you touch it. It is Australia’s most toxic stinging plant, but the fruit is edible once the hairs have been removed. 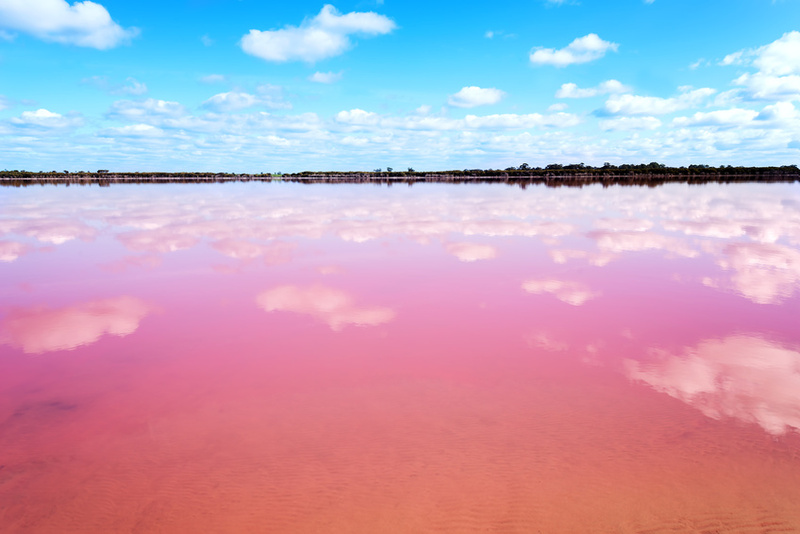 If you like the colour pink, why not pay a visit to Lake Hillier. The lake is salty and about 600 meters long, and scientists have not yet been able to confirm the reason for its light pink colour. In 1859 24 rabbits were brought into Australia. In just ten years, they had increased to 2 million; almost as if they were breeding like… well, rabbits. The plate which covers the entire continent of Australia moves 7 centimetres north every year. In Australia, the Lungfish - considered a living fossil - is an animal species which dates back over 350 million years, and which cannot be found anywhere else in the world. Sydney Opera House – this unique building was created on the basis of a competition announced in 1955. The winner of the competition was an unknown architect Jörn Utzon, who was inspired by nature. The building was built between 1959 and 1973 and takes the shape of a shell or a swallow. Great Ocean Road - Located in Victoria this is a 243-kilometer-long route that stretches along the west coast of Australia between the towns of Torquay and Warrnambool. It passes some of the most beautiful beaches and a collection of 45-meter limestone rocks, called the 12 Apostles (pictured). Uluru (Ayers Rock) - a massive sandstone formation of 5 million years old which is known as one of the most sacred places of the indigenous peoples of Australia. The sacred mountain changes in appearance throughout the day and is associated with various myths and legends. Exit to the mountain is strictly forbidden these days. Sydney Harbour Bridge - opened in 1932, according to the Guinness Book of Records this is the widest long bridge in the world. It connects Sydney city centre with the quarters in the north and Port Jackson's natural harbour. 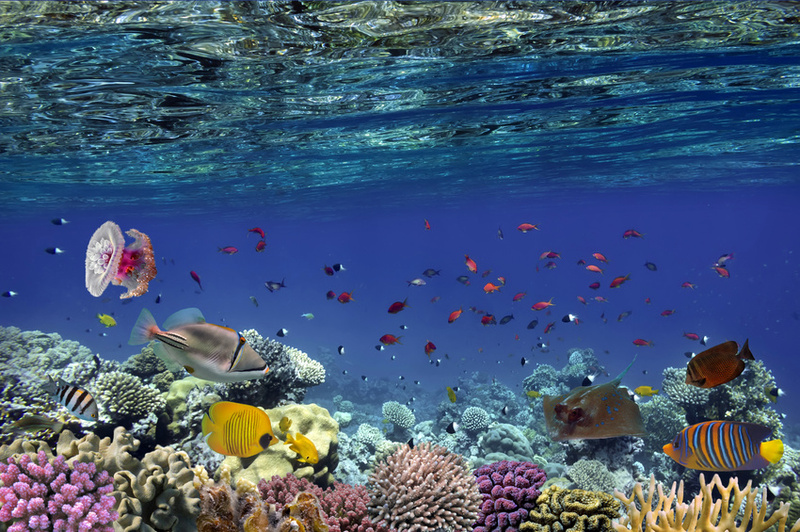 Great Barrier Reef - located in the Coral Sea in Queensland, the reef is 2,300 kilometres long and has a beautiful marine world of over 3,000 lagoons, islets, reefs and islands, making it a UNESCO World Heritage Site. 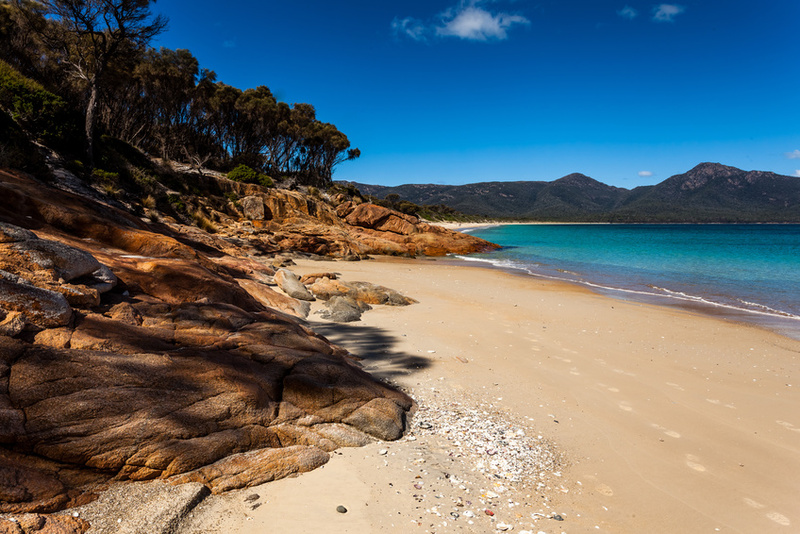 Tasmania - to a large extent, this island is made up of unspoiled and virgin nature, with up to 40% of the land area being reservations and national parks. There are also several museums in Tasmania, such as the Museum of Old and New Art and the Maritime Museum of Tasmania. Perth - the capital of Western Australia is a modern city inhabited by more than 1.7 million people. Great for relaxation, shopping, museums, galleries, and close by is the island of Rottnest which boasts 63 beautiful beaches and lagoons. 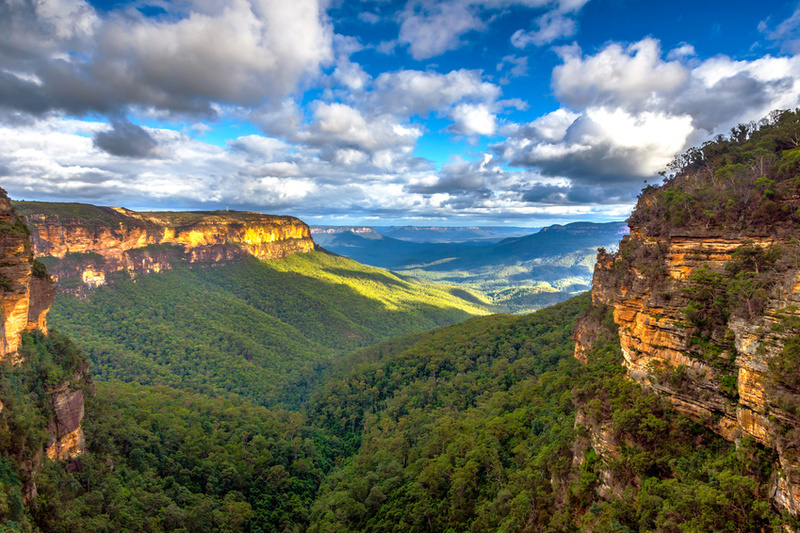 Blue Mountains - the massive UNESCO heritage listed mountains are home to a rare species of eucalyptus. Sydney Tower - the tallest building in Sydney and the second highest in Australia, measuring 302 metres. Lake Hillier – one of the natural wonders of Australia, this light-pink coloured lake is located on the edge of Middle Island in Western Australia. Australians love lotteries! Up to 80% of the country's inhabitants regularly have a go at winning a top prize. Most of the lotteries available in Australia have existed since the 1970s. The most popular are the OZ Lotto, the Monday & Wednesday Lotto, the OZ PowerBall and the OZ Saturday Lotto. Of course, these days betting on all of these Lotteries can be enjoyed from the comfort of home. The Australian record-holder for the top lottery payout, Australia's OZ Lotto enjoys great popularity thanks to its unlimited jackpots. 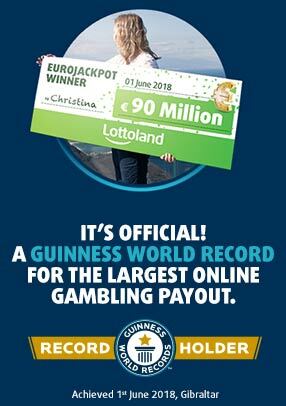 The guaranteed minimum jackpot is worth AUD 2 million. The Australian lotto record has climbed to AUD 111 million, which is about 75 million euros. The game system is based on a selection of 7 numbers from a range of 1 to 45, and after 7 numbers are drawn, 2 additional numbers that affect the second, fourth and seventh winning category are also picked out. The probability of winning the jackpot is 1: 45,379 620, while the odds for any win are 1:55. The draw takes place every Tuesday evening Australian time, which is about 10.30am our time in winter and 12:30 in the afternoon in summer time. One line bet on the OZ Lotto costs €1.75. As the name might suggest, this lottery is drawn twice a week, every Monday and Wednesday at 20:30 Australian time, which corresponds to 10:30am in winter and 11:30 summer time. Thanks to the fact there are two draws, the weekly jackpots of this lottery tend to rollover faster. The jackpot starts at a minimum guaranteed amount of AUD 1 million. In this lotto you must select 6 numbers from a range of 1 to 45. To win the main prize, you have to guess all 6 numbers. In addition to 6 main numbers, two additional numbers are added during the draw which determine winnings for the second, fifth and sixth winning category. The OZ Monday Wednesday Lotto offers a probability of winning a jackpot of 1: 8,145,060, with a chance to get any win of 1:85. The cost per line bet is just €1.20. This is the Australian version of the magnificent American PowerBall lottery. The Australian PowerBall is drawn every Thursday evening at 20:30 Oz time, which translates to 10:30 and 11:30 (BST) in our time zone. In the case of this lottery, you choose 5 numbers from 1 to 40 and 1 PowerBall number from 1 to 20. The jackpot is won by whoever guesses all 5 + 1 numbers, with a probability of 1: 76 767 600. Just for comparison, the odds of winning the main prize are 4 times better than for the US PowerBall. The minimum jackpot is guaranteed at $3 million AUD. The jackpot can grow to over AUD $50 million. If you don’t win the jackpot, you still have the chance to win on one of 7 winning tiers. Overall the odds of claiming a win from this lottery are 1: 100. One line costs only €1.75. This weekly multi-million dollar lottery is the popular OZ Saturday Lotto. Just fill in your ticket with 6 numbers from 1 to 45. In addition to these, two additional numbers are drawn, which you do not select, but which affect the chances of winning the second, fifth and sixth winning categories. The minimum weekend jackpot is AUD 4 million, the highest amount of all Australian minimum jackpots. The probability of winning the jackpot is the same as for the Monday and Wednesday lotto - 1: 8,145,060. The Australian Saturday Lotto also boasts so-called Superdraws that take place several times a year with jackpots totalling AUD 20 million or more.